Our family company continues to offer a tour with rave reviews week after week, and has done so for over ten years now. Our experienced guides know this region better than anyone. With a focus on fun, reliability, safety, and plentiful, quality food, the tour offers many features unique to us - such as the Ningaloo Reef Outback Station stay - a highlight for many; and we were pioneers in taking regular tour buses to the hands-on Greenough Wildlife Park, and also to include the Principality of the Hutt River Province to meet Prince Leonard. swimming alongside the world's largest fish - the magnificent Whaleshark. This is an experience words can never do justice. Along the way, for those with an interest in the natural history of the Earth we also get to see the Shark Bay Stromatolites (which have featured in two David Attenborough documentaries}. These are the first organisms on the planet, responsible for creatiing the oxygen in the atmosphere for all subsequent life to thrive. We also get to see the 400 million year old footprints of the first creatures which left the ocean to venture onto land. 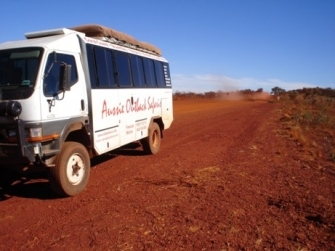 Alternatively, we also offer tailored to suit charter tours - specialising in trips for schools on Exchange Trips to Western Australia. For an educational and cultural experience, our Dreamtime evening with Capes, the Shark Bay Aboriginal guide, based at Monkey Mia, is so amazing, it can be emotional for many. We also are able to cater for field trips, typically associated with conferences held in Perth. For very small groups we use a late model Volvo XC90, which can get us to all the interesting places in luxury; for larger groups we use 20-seat minibuses.